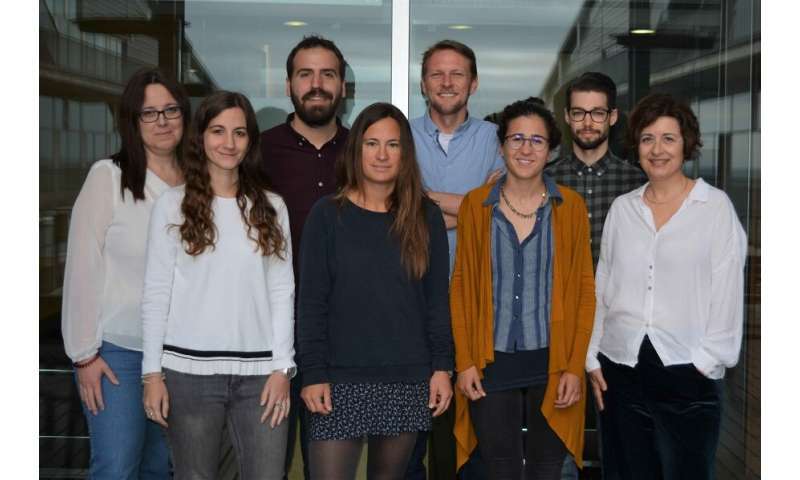 A new study led by Juana Díez, principal investigator of the Department of Experimental and Health Sciences (DCEXS) at UPF, has found a new system in cells that makes them more robust against possible alterations in the expression of genes. The work was published yesterday, 21 March, in Nature Communications. Genes contain the necessary information for the formation of proteins, which are the cell's functional elements. Therefore, the expression of genes is precisely regulated, since an inappropriate rise or fall in protein levels may lead to cell death or various pathologies. This expression takes place in three major stages: transcription, in which gene DNA information is transferred to another molecule called messenger RNA (mRNA); translation, in which the information of mRNA is decoded to proteins; and finally mRNA degradation once its function is fulfilled. The new study indicates that these three stages, classically considered as being isolated due to their different spatial and temporal incidence, are interconnected through a common regulator. "Using Saccharomyces cerevisiae as a model, we have shown that the protein Xrn1, which plays a key role in the degradation of mRNAs, also regulates the transcription and translation of the mRNAs that encode membrane proteins," says Juana Díez, leader of the Molecular Virology group at the DCEXS. Thus, the scientists have revealed a hitherto unknown role of Xrn1, which is a protein that is highly conserved in the eukaryotes. Bernat Blasco and Leire de Campos, first authors of the article, detail that "membrane proteins contain hydrophobic domains with strong tendencies to aggregate. The regulation of the expression of these proteins through a common coordinator, Xrn1, prevents, for example, mRNA from transcribing if the translation or degradation machinery do not work. In this way, we avoid aggregations that could be toxic."